Roebic Laboratories, Inc. has been developing, manufacturing and selling waste water treatment products since 1959. 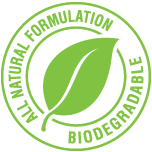 Throughout the years, we have excelled at formulating these products with combinations of ingredients and bacteria strains that are the result of detailed technical analysis and study. The selection of bacterial strains in our products is based on careful consideration of the job at hand, the environment in which they are to be used, and on our vast knowledge of each strain’s genetic and enzymatic capabilities. Our patented ROETECH Bacillus are the newest and best on the market and result from extensive research and development as well as years of vital experience. ROETECH bacteria are the backbone of our technology and act as the base for our biological formulations where they perform critical product functions. The combination of our superior technology, production processes and decades of experience has resulted in the most effective products in the marketplace. We are frequently in touch with our customers, and offer technical assistance for applying our products to difficult and challenging situations. This communication continually enhances our product development and serves our customers with the most effective applications in the marketplace. Product performance "in the field" is critical for an effective product, and ROETECH products consistently deliver desired results and generally exceed most user expectations. The manufacturing process used to make ROEBIC products is continuously refined and modified with the goal of consistently achieving high levels of quality, year after year. Rigid Quality Control procedures are also in place and quality inspections occur at many points in the production process. Improvements in bacterial cell yields have resulted in greater efficiencies and stronger products that are more capable of handling the increasing demands placed on them by our customers. Most importantly, our products deliver outstanding value to our customers. Superior patented technology, highest quality, and proven effectiveness all combine to provide the right product at the best cost to the end user. Roebic Technology, Inc., a subsidiary of Roebic Laboratories, Inc., develops and markets proprietary bacterial cultures for the wastewater treatment industry. The United States Patent & Trademark Office has granted ROEBIC patents on eight Bacillus bacterial strains. These bacteria encompass the ROETECH Technology and act as the framework for formulations that are used in our powerful "Professional" and "Waste Water" product lines. We at ROEBIC are proud of this achievement and are pleased to offer superior biological products to our customers. ROETECH cultures are only available from ROEBIC. This achievement sets us apart from all others in the wastewater treatment industry.